In the fourteenth year of a new century, the fate of an embattled earth is in the hands of men marooned at the South Pole . . . in Shackleton Crater. If you think this is a one-hundredth anniversary retelling of the famous 1914 British expedition to Antarctica you are correct. If you think you already know how this story goes and how it ends you are off by a quarter of a million miles. 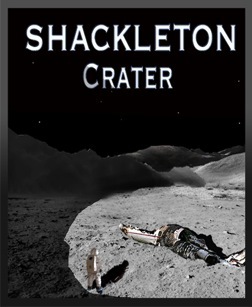 Originally published in A Slaughter Of Ornithes, Shackleton Crater has been re-released as a stand-alone e-book.